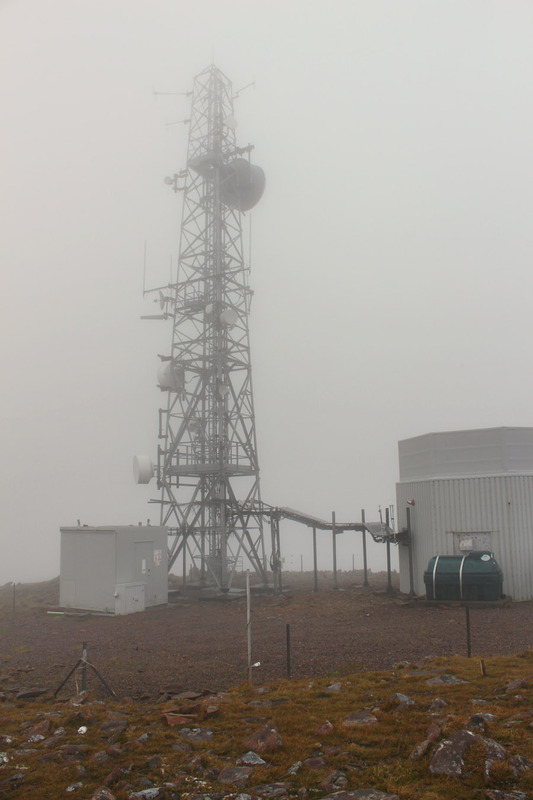 Weather/Conditions: Misty day, but pleasant all in all. Dryand not too windy. 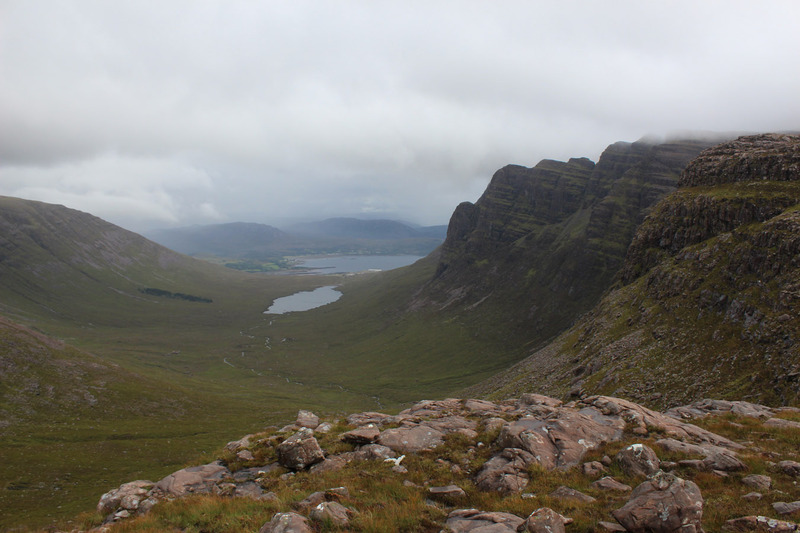 Applecross is a peninsula on the west coast of Scotland and harbours some of the most incredible mountains to be found in the country. 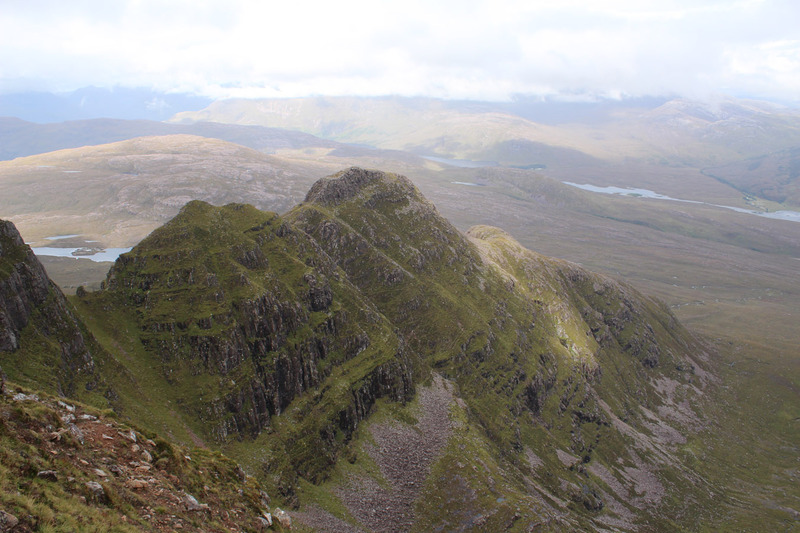 Their bulk consists of Sgurr a' Chaorachain and the collossal Beinn Bhan. 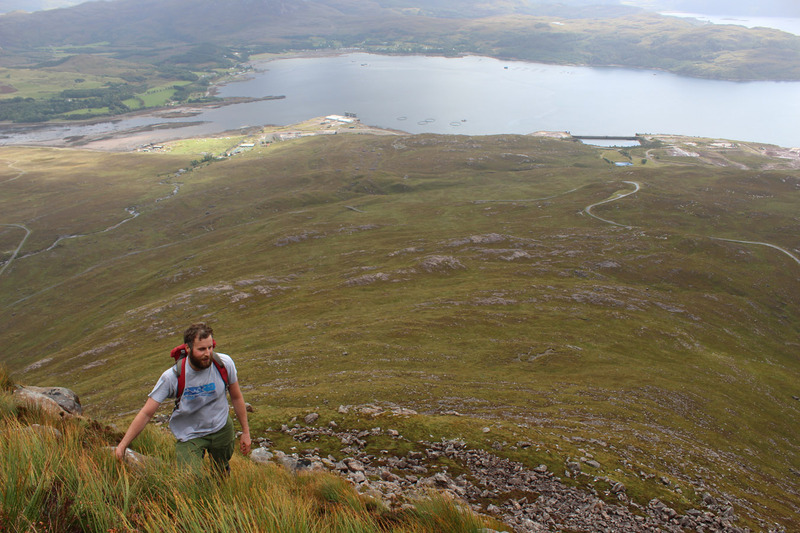 When I finished the Munros, I started to look more keenly to the sub-3000ers. 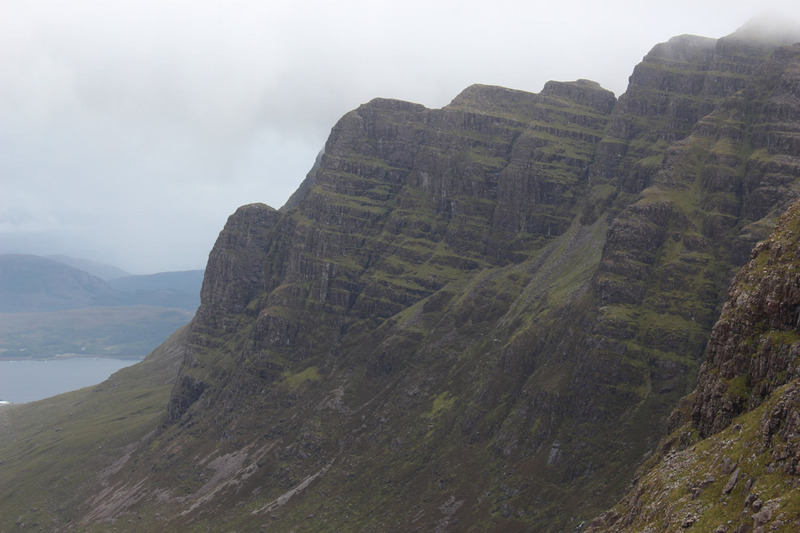 And having never climbed this pair after nine years, they became a huge ommission in my hill walking. It wasn't as though I wasn't aware of them. 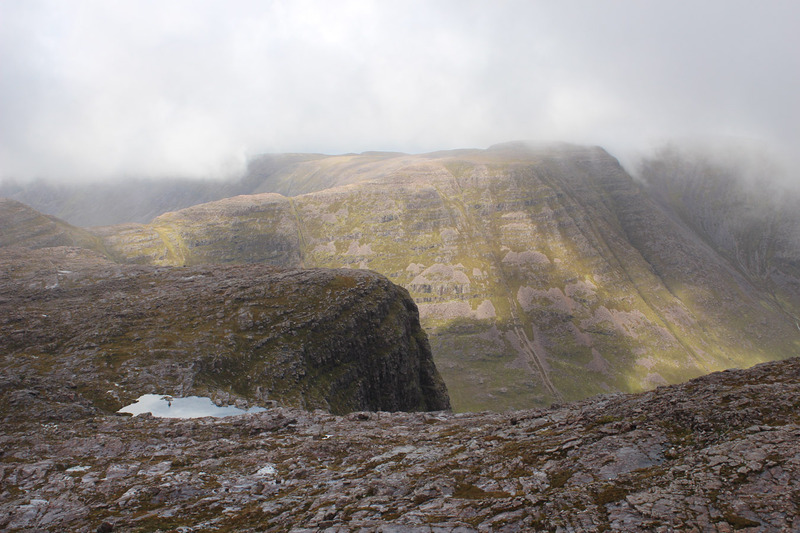 If you walk anywhere from Mullardoch, northward to Torridon your eye will be drawn at some point to high plateaux on the western horizon with their ends cut dramtically, where cliffs plunge far into deep coires. 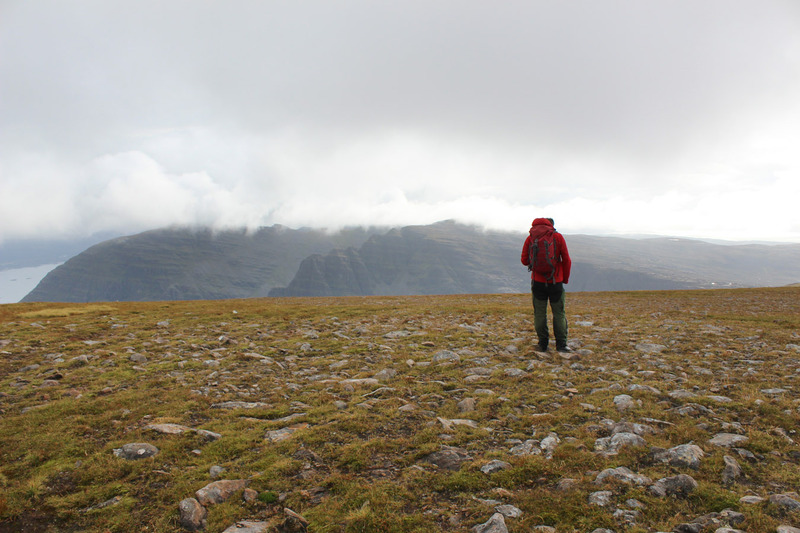 They are dramatic mountains; it really was about time to go for them. 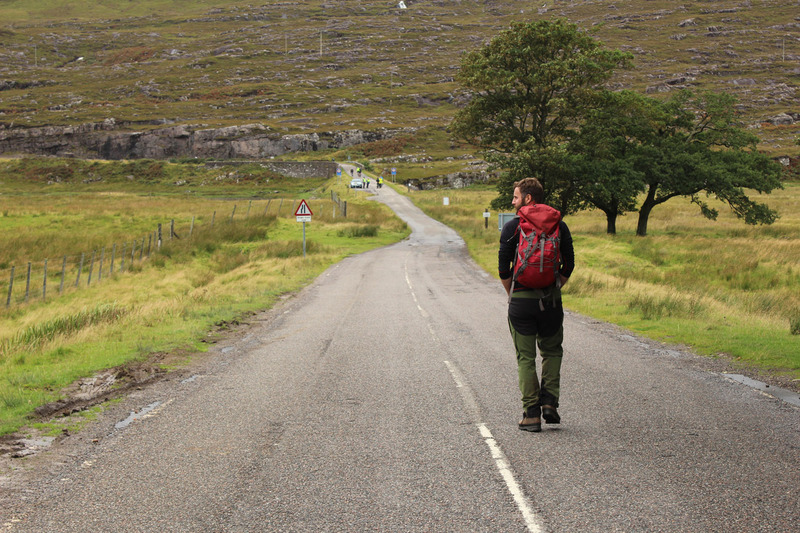 Just as well Struan is interested in finding new mountains to climb too, so we left Torridon and drove around the coast to the foot of the Bealach na Ba road. We began at Tornapress. 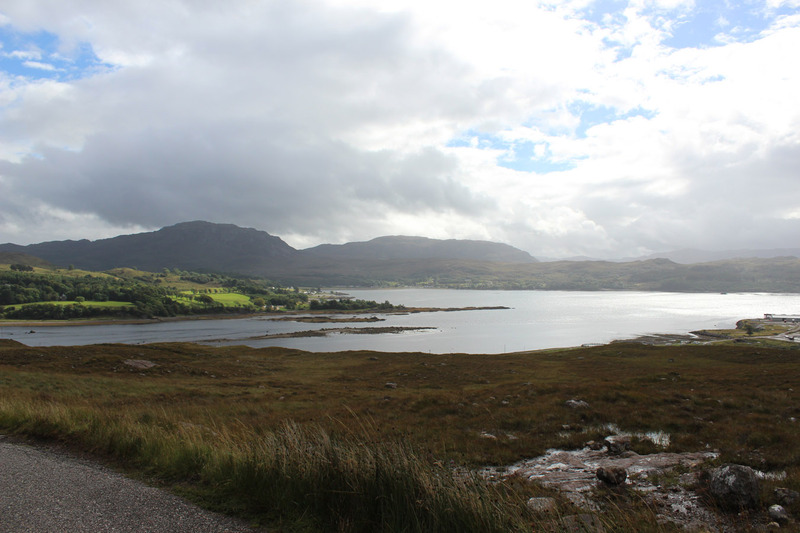 There was a cycle event on the Bealach road, but I didn't mind the sea level start. It meant that our route was a natural loop, rather than a route-of-least-resistance, which always seems a bit lazy to me. 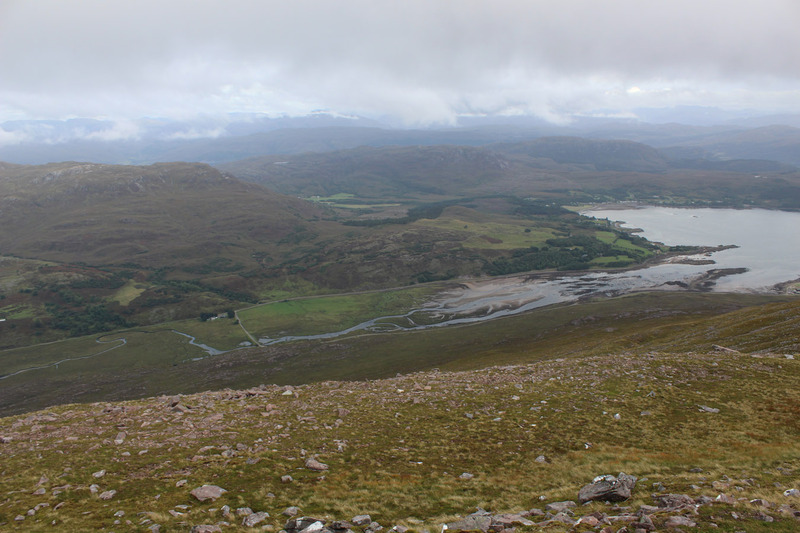 We walked up the road then cut up onto the flank of Sgurr a' Chaorachain. 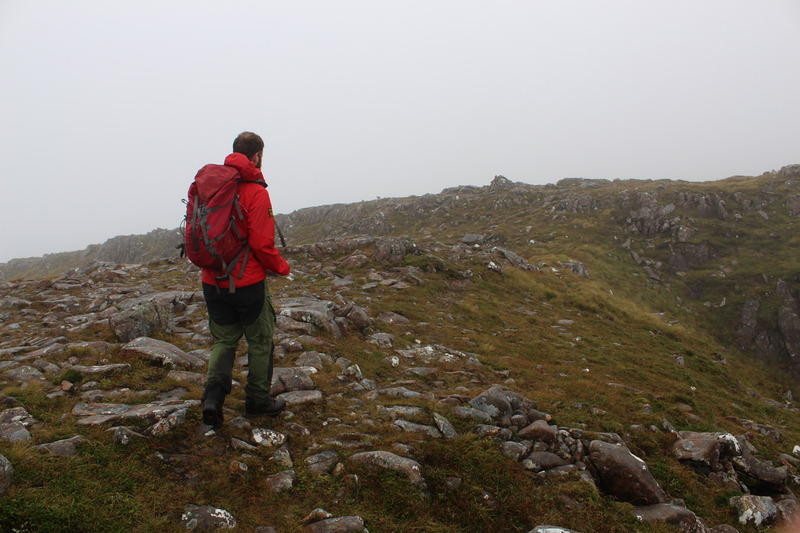 Na Ciòchan rose dramatically into mist; I'd so badly wanted to climb it on this trip but nobody was forthcoming; even with my offer to lead everything! 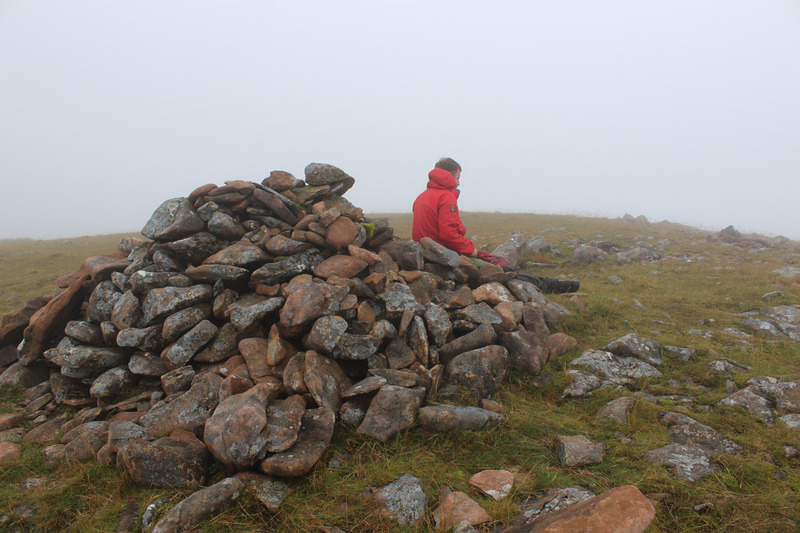 We had one steep step at the top of Sgurr a' Chaorachain, then the mist swallowed us and the cairn arrived soon after. There was some nice intricate route finding on the ridge that followed, which led to the mast on the NW Top. 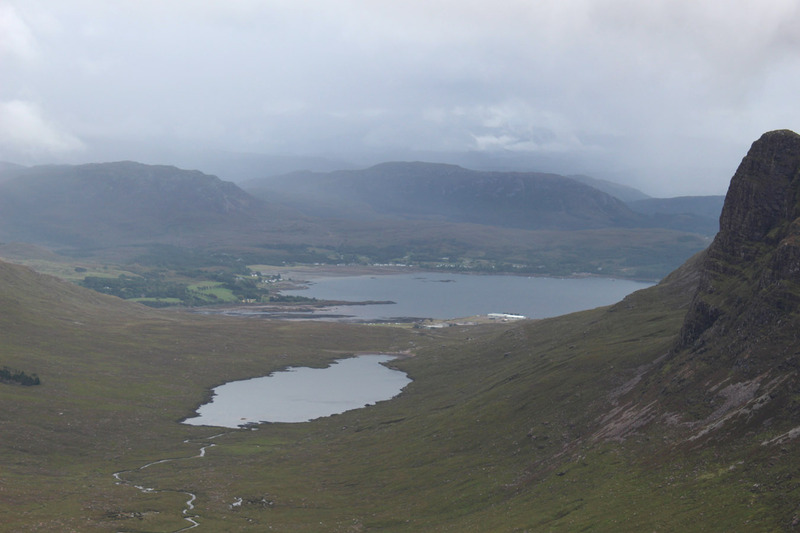 We saw little views at this point, but then beyond the mast the cloud tore open and the Applecross plateau was exposed for the first time. I rarely recall seeing a landscape that was so 'moonscape' in its form. 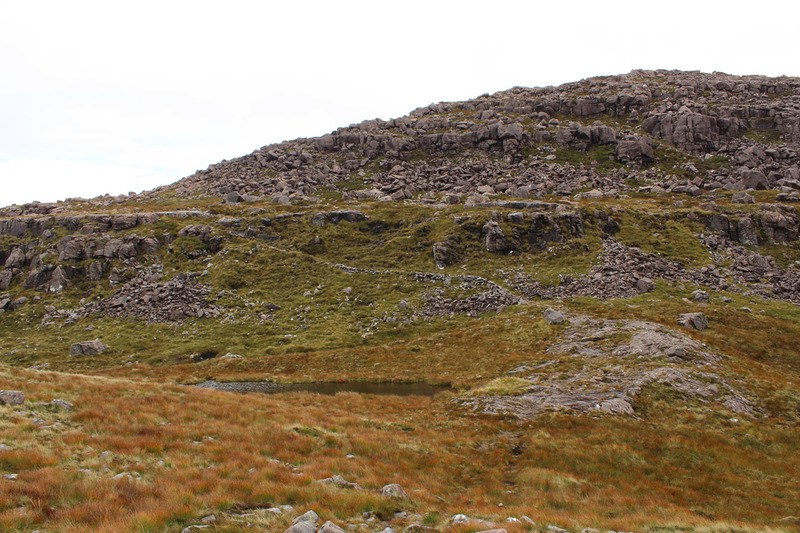 There is nothing here but the endless stone and boulders that have no doubt sat unchanged for a long, long time. 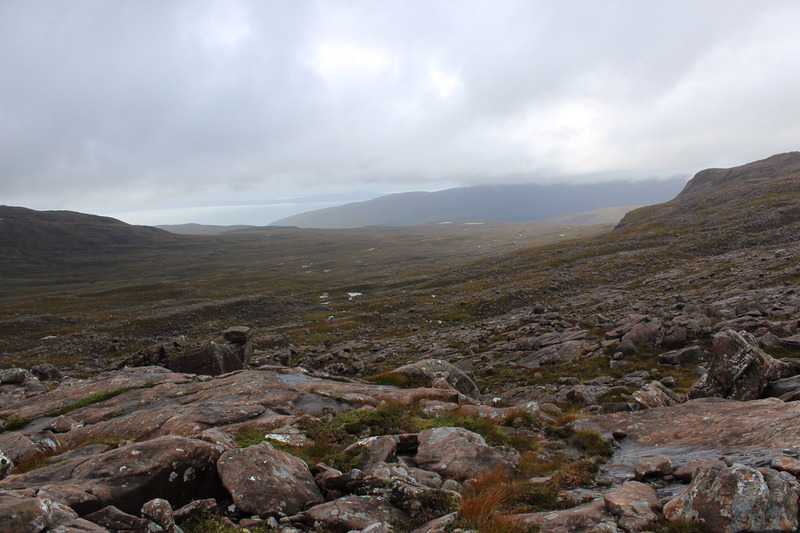 The plateau drops gently west toward Applecross itself out of sight, but the views east are more immediate and dramatic. 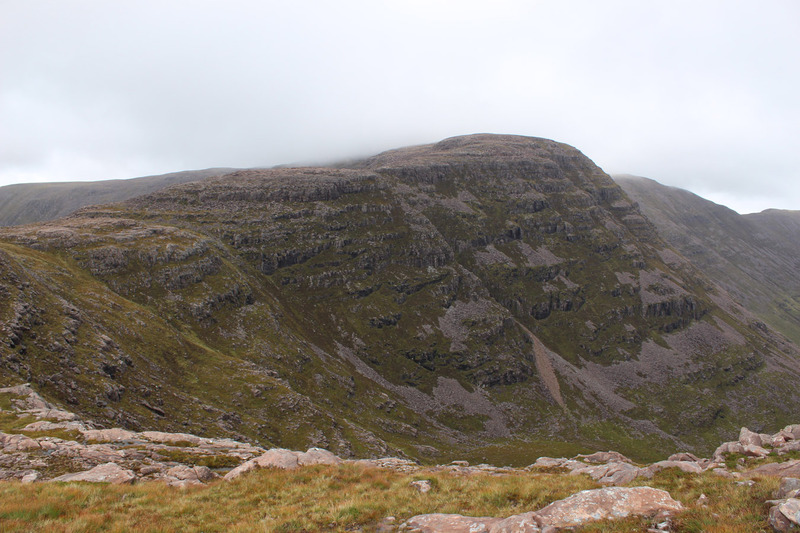 Our day was essentially a round of Coire nan Arr and this open, dramatic coire was prominent in our sights all day. Better was yet to come, though. 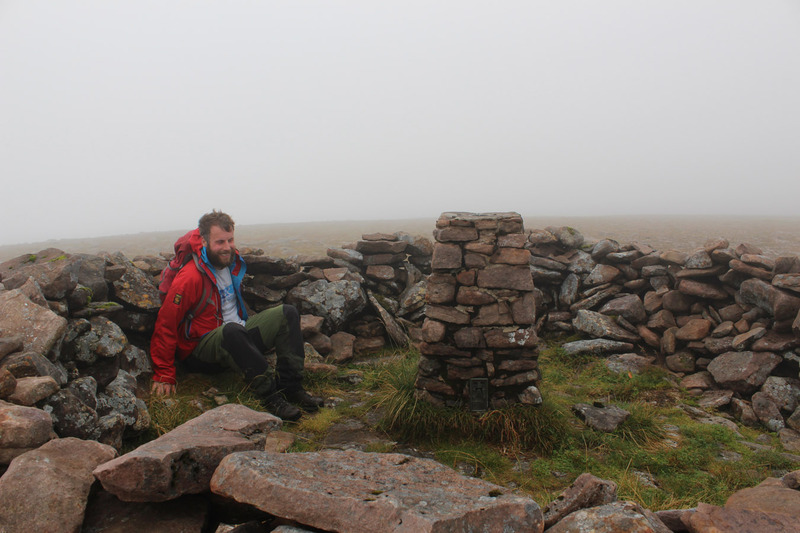 We headed up the west ridge of Beinn Bhan to a misted-in trig point, and expected no more. 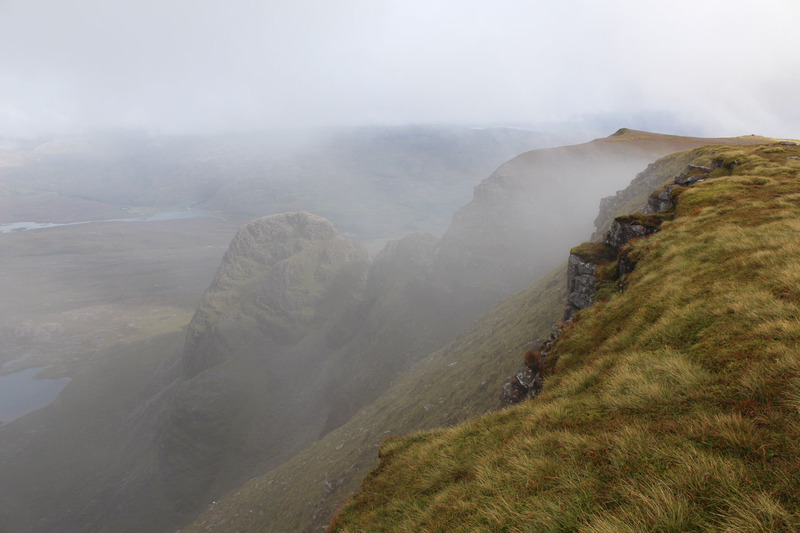 But after five minutes the mist began to lift and break, giving glimpses into the the great coires that ring the east flanks of this mountain. 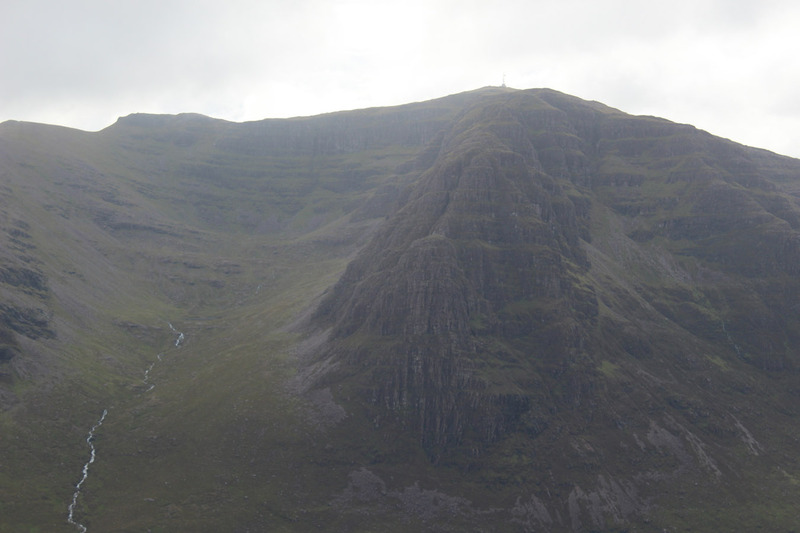 Coire's Poite and Fhamhair may be the centrepiece of Beinn Bhan. 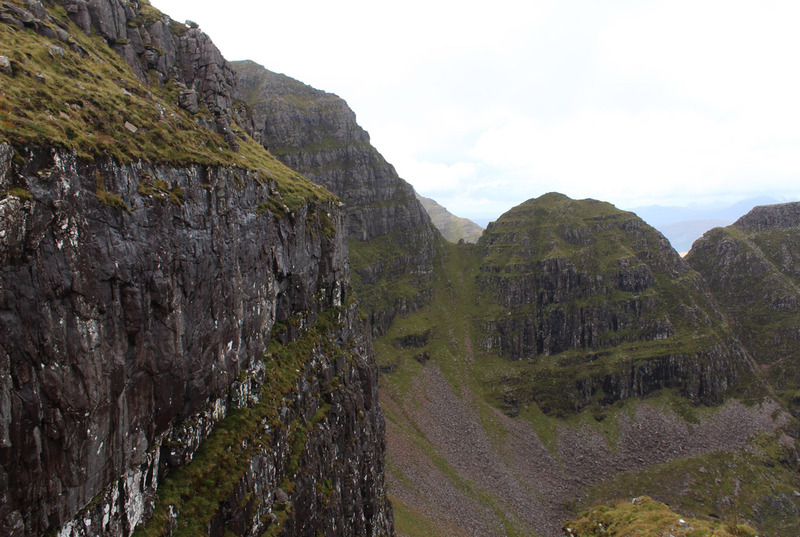 Their walls are collossal in Scottish terms, certainly in size, but particularly for their incredible sustained steepness. 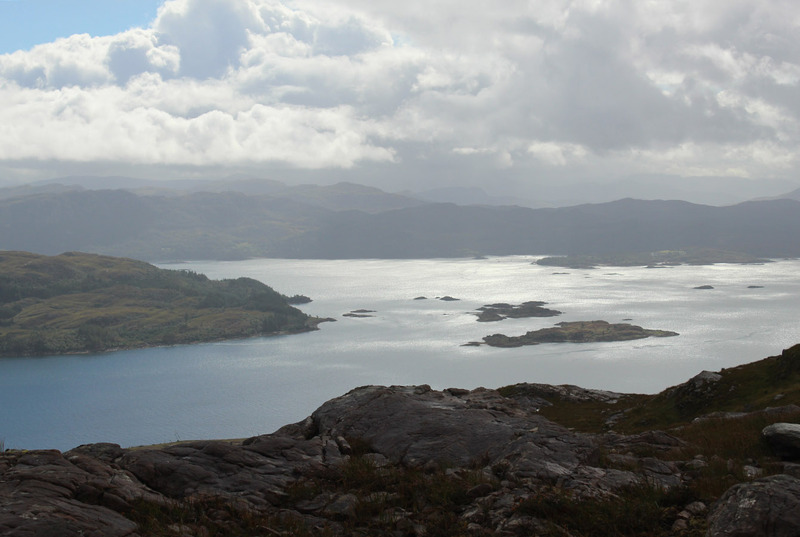 I'm almost amazed it took so long to see them up close, yet even now there are huge Scottish hills I've yet to set foot on, particularly the likes of Beinn Dearg Mor, or Garbh Bheinn or Sgorr Dhomhnuill in Ardgour. 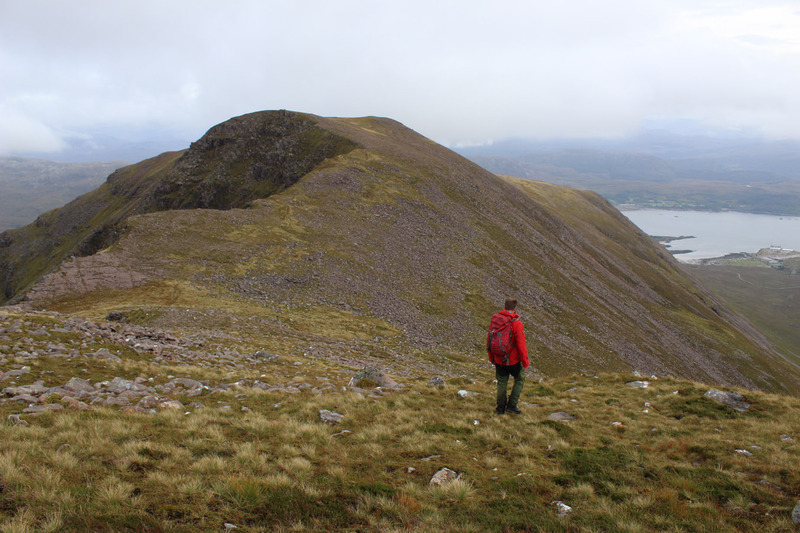 We descended down the SE Ridge of Beinn Bhan, with views now open across A' Chioch. This ridge looks as though it would be a tremendous winter route; maybe some day soon. 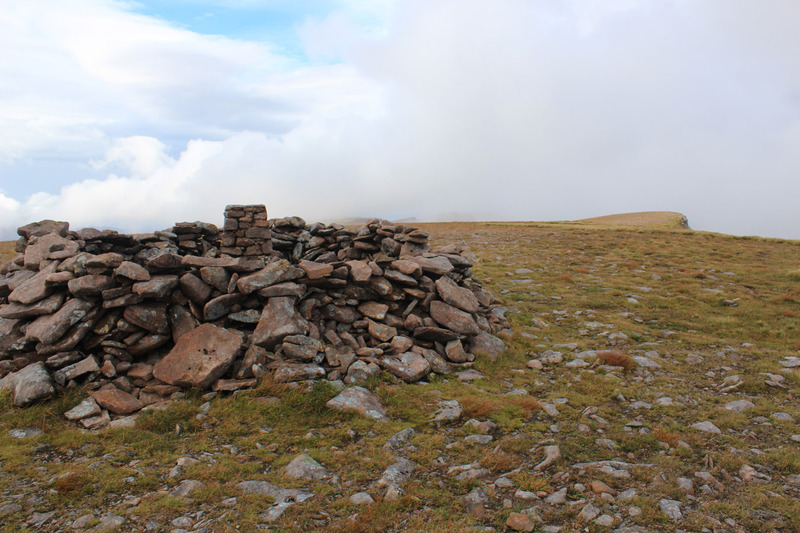 Beinn Bhan is one of the great mountains of Scotland. I was in no doubt about it before, and having seen it at close quarters I'm in no doubt about it now. 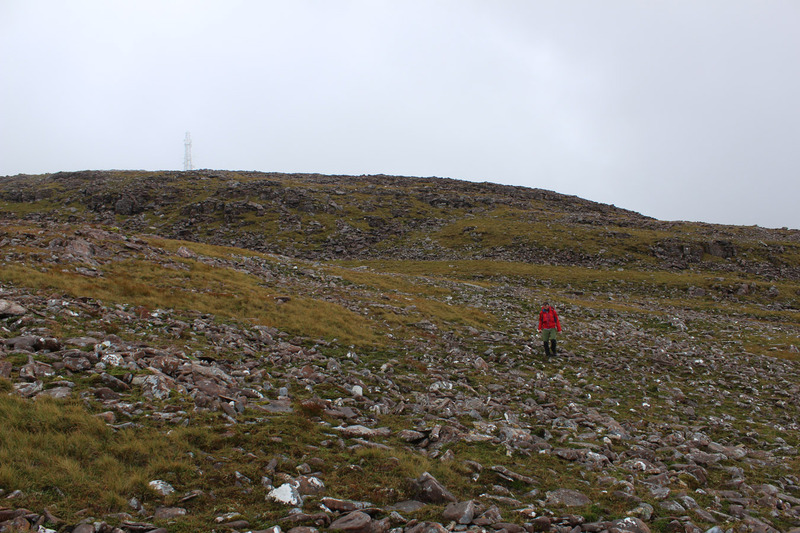 Struan and I dropped off the eastern shoulder of Beinn Bhan, for a long and gentle descent back to the car.